Rahn Dorsey was named chief of education for Boston by Mayor Martin J. Walsh. 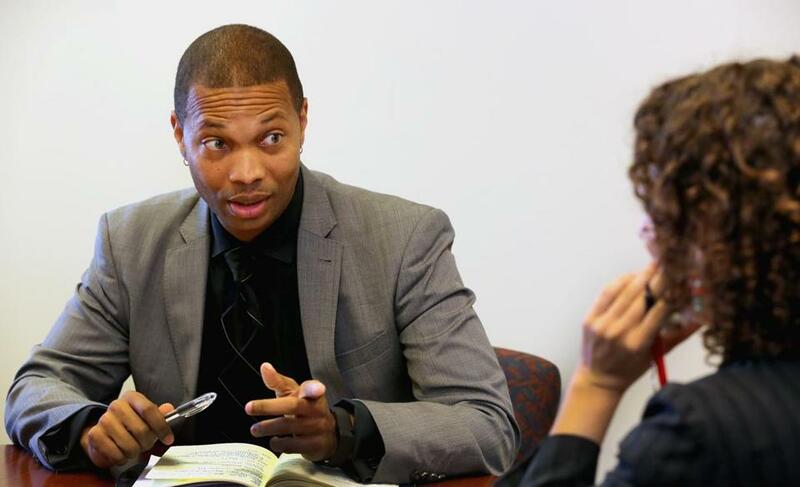 Until recently, Boston’s soft-spoken chief of education was familiar in City Hall and philanthropic circles, but the average citizen might be forgiven for not knowing Rahn Dorsey. But as the end of his first year in office approached, Dorsey took a step into the spotlight recently as a guiding force behind a proposed enrollment system that would allow families to enter a single lottery for both district schools and charter schools. Since his appointment to the key position in Mayor Martin J. Walsh’s administration, Dorsey has quietly worked with district, charter, and Catholic schools; Boston’s colleges and universities; and philanthropic organizations to build collaborations aimed at improving education for all young people. Walsh said he created the chief of education post to free the superintendent of schools from political battles, such as the contentious debate over charter school expansion. What the new Boston superintendent has to say about testing, charter schools, and innovation. The Cabinet-level post, and Dorsey’s close work with both Walsh and Superintendent Tommy Chang, point to the mayor’s personal engagement on education, an approach that observers describe as more hands-on than that of his predecessor, the late Thomas M. Menino. 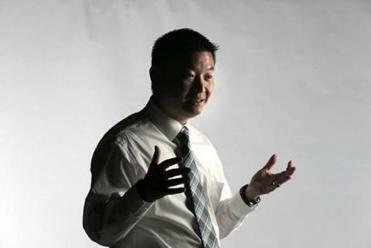 Chang, who talks about education using the same lofty, entrepreneurial terminology that Dorsey favors, said they work as partners, with shared goals and philosophies but distinct responsibilities. Those who have worked with Dorsey describe him as someone who initiates and sustains important discussions and listens closely, acting as the mayor’s ears on education issues. In addition to helping coordinate the plan to unify enrollment for district and charter schools, Dorsey helped lead the search process that led to Chang’s hiring in March. He is guiding plans to make prekindergarten available to all Boston 4-year-olds as well as efforts to design high schools that prepare young people for the contemporary realities of college and work. “Think of Rahn’s position as being a supporter of the superintendent in trying to bring all of the people of good will in this town together in a coherent, aligned manner to support the schools,” said Michael Contompasis, a former Boston superintendent, who has worked with Dorsey on the superintendent search committee and the high school redesign project. But Dorsey is sometimes criticized for building bridges rather than taking aggressive action. Neil Sullivan, executive director of the Boston Private Industry Council, said people who expect Dorsey to stamp his own brand on accomplishments miss the point. Dorsey said he understands why some are impatient to see change in education. A Detroit native, Dorsey is married to Mariama White-Hammond, the former executive director of Project HIP-HOP, a youth social justice organization, and daughter of the Rev. Ray Hammond and the Rev. Gloria White-Hammond, pastors of the Bethel AME Church in Jamaica Plain. The couple have no children, but both have spent much of their careers working in education and youth development. The son of a former teacher, Dorsey’s only classroom experience was as a City Year corps member 25 years ago, assisting teachers and mentoring students at Blackstone Elementary School in the South End. It was through his wife, a friend to Walsh through their local Ward Committee, that Dorsey met the future mayor. Walsh offered him the post after several conversations about education policy, Dorsey said, and asked him to write his own job description. Walsh said he knew Dorsey was the right choice when they visited John Winthrop Elementary, a turnaround school in Dorchester, and saw Dorsey asking teachers thoughtful questions about curriculum. Clarification: An earlier version of this story gave an imprecise description of education officials who hold similar posts in other cities.